Now that we know Super Smash Bros Ultimate will feature every single Smash Bros character in history we decided to start detailing each one, one by one. We’ll take a look at moveset, alternate costumes, changes from the last game, and more. We’ll be adding to each guide as we learn more details. In this Super Smash Bros Ultimate Samus Guide, we’ve pulled together all the info on everyone’s favorite bounty hunter. Samus returns once again in Super Smash Bros Ultimate. She’s been a part of the series since the very beginning, so it’s no surprise that she’s available in the new game. There have been some changes to the way Samus plays, albeit very subtle ones. Let’s take a look at what they are. Samus can be a tricky character to master, though is extremely effective when used right. We've listed some essential Samus tips to keep in mind while playing. Use Samus' bombs constantly, they're great for slowing your decent. We've detailed all of Samus' Special Moves in the table below. 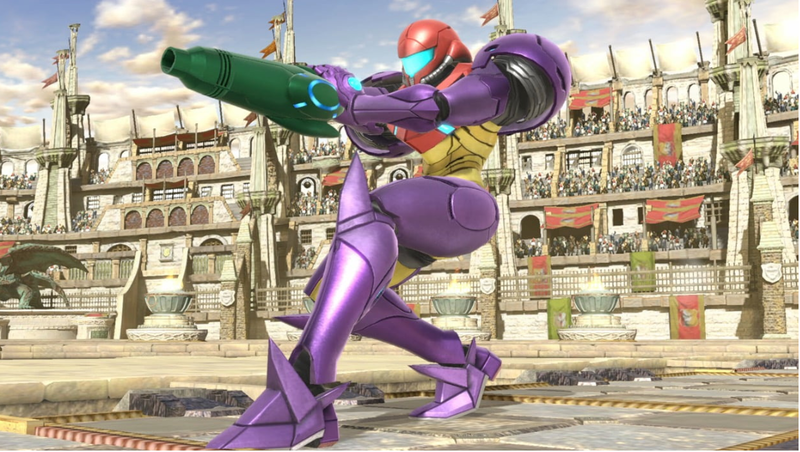 You'll find info on how to perform all of Samus' special moves and Final Smash. 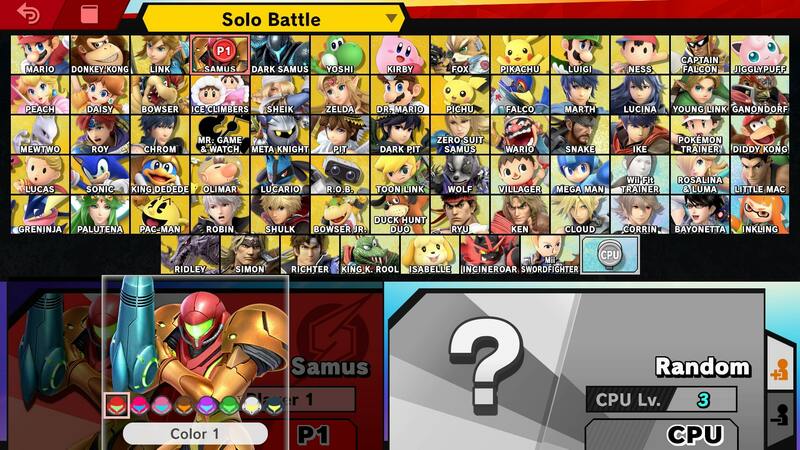 As usual, Samus boasts some alternate outfits in Super Smash Bros Ultimate. They’re pretty much just variations of different armor colors, much like what we saw in SSB4, used to distinguish between players. It’s possible that we might get to see some other ones, but currently there is no official confirmation. 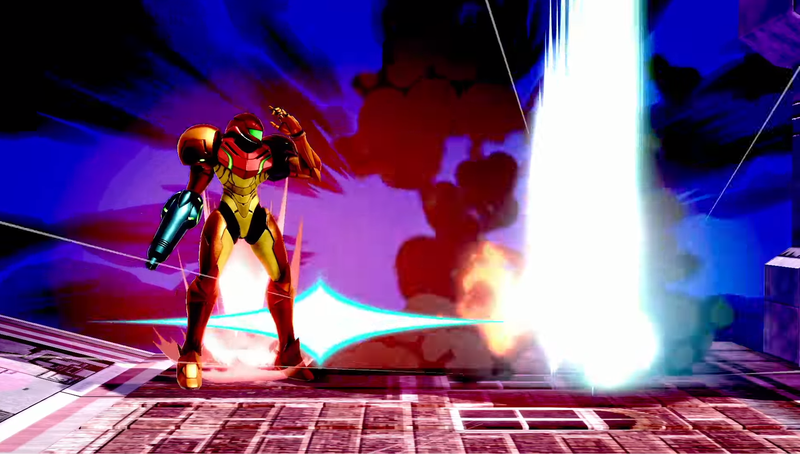 Samus’ Zero Laser returns as Samus’ Final Smash Special move. This time, she unleashes jets of flame out of the back of her suit whilst firing. It’s as devastating as ever though, which you can see for yourself in the video embedded above. That’s everything you need to know about Samus in Super Smash Bros Ultimate. For more details about the game, including release date, trailers and stages, head over to our Super Smash Bros Ultimate Guide.